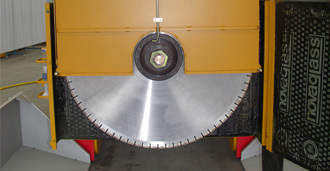 The cutting blades are used to cut prestressed concrete elements with special sawing machines. The diameter of the blade to be used must be chosen according to the height of the element to be cut. NORDIMPIANTI can provide cutting blades from the normal “N” series or silenced “S” series depending on customer requirements.